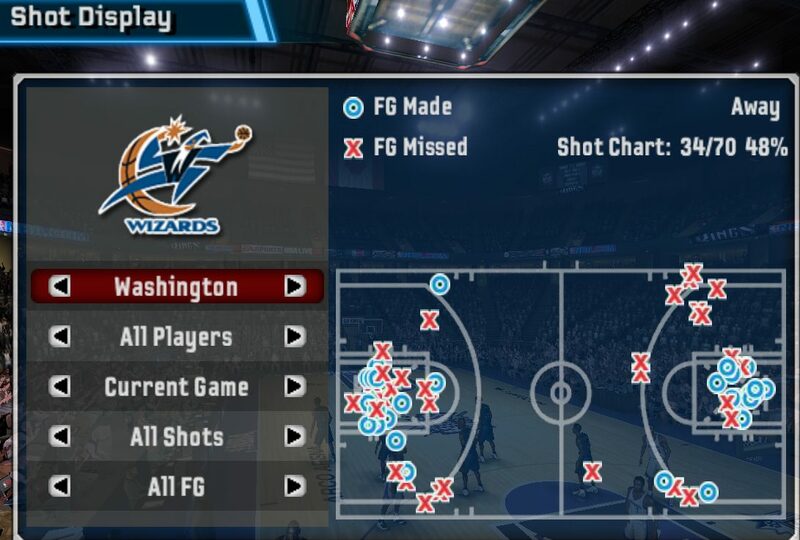 NLSC Forum • [NBA Live 06] Washington Wizards | The Silver Bullet (16-13) | 2006 Playoffs! 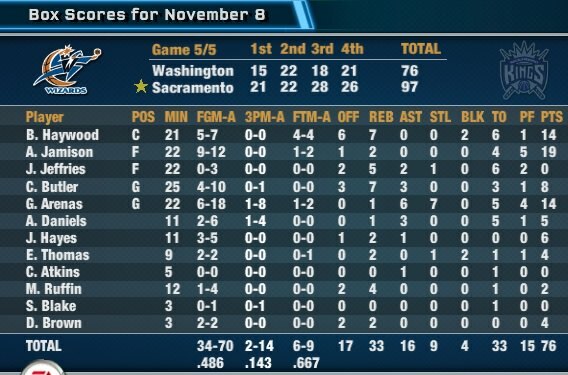 [NBA Live 06] Washington Wizards | The Silver Bullet (16-13) | 2006 Playoffs! Last edited by Breems on Wed Sep 19, 2018 12:45 pm, edited 33 times in total. Jaric's Honeymoon Coming To An End? Last edited by Breems on Thu Apr 18, 2019 9:46 am, edited 6 times in total. Cool to see a retro Dynasty like this, and with one of my all-time favourite games, too. Best of luck with it! We round out our week of Eastern Conference previews with the Washington Wizards. Can Arenas and co. return to the conference semifinals and potentially take the next step? Let's take a look. My staff and I aren't looking for a total rebuild. I believe last year's successes showed we're only a few tweaks away from where we want to be. Breems did overhaul the staff, however, bringing in a new trainer, scout, and an impressive pair of assistant coaches. 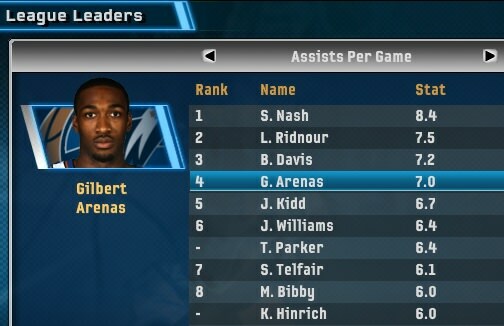 After a stellar '04-05 campaign, Gilbert Arenas looks poised to carry the Wizards again this season. He'll be backed by off-season pickups Antonio Daniels and Chucky Atkins. With the departure of Larry Hughes, Caron Butler will start at SG after a promising stint in LA. Serviceable wingmen Jarvis Hayes and Jared Jeffries round out the perimeter. The Wizards' length on the wing should aid in defending the perimeter and getting to the hoop. 3PT shooting looks suspect and will reportedly be a focal point for the new staff. Last edited by Breems on Sun Aug 19, 2018 12:24 am, edited 5 times in total. If it's realistic simulated stats you're after, I'd recommend setting the Sim Quarter Length to 12 minutes. The Wizards and T-Wolves tipped off opening night with an exciting, hard-fought game. Arenas and the Wizards came out strong and led 22-14 at the end of the 1st quarter. Hard-nosed defense came with a price, however, as Arenas committed 3 fouls in the quarter. 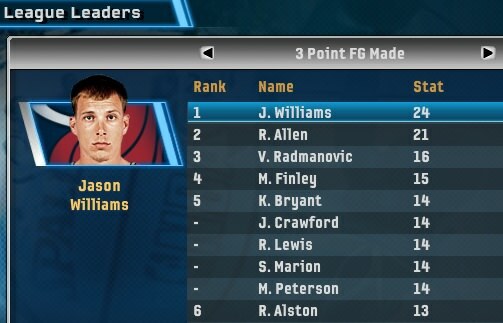 With Arenas on the bench, Jamison did just enough to keep the Wizards on top 37-36 at the half. Most of Washington's buckets in the 1st half came from the paint, and Dwane Casey took notice. 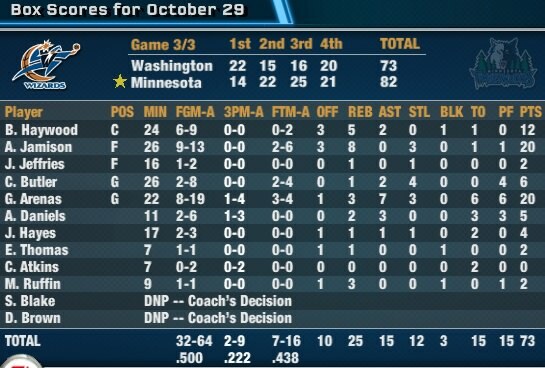 Minnesota started the second half in a 2-3 zone which stifled the Wizards' offense and kept them off the offensive glass. The T-Wolves built up a 12-point lead in the 4th led by All-Star Kevin Garnett's dominance in the paint. 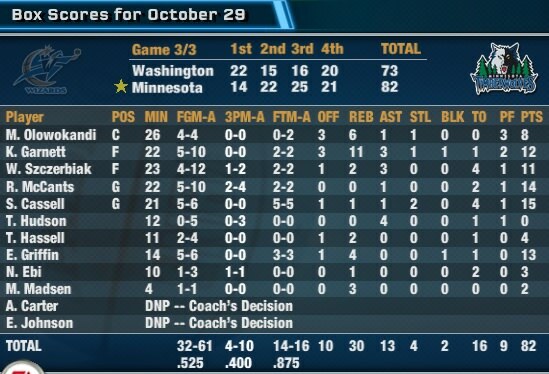 Arenas and Jamison led a 10-0 run that brought the Wizards within 2, but a series of unfortunate events stole the Wizards' momentum in the final 2 minutes: KG had a breakaway dunk, Jamison was called for an offensive 3-seconds, and little-known T-Wolves backup Ndudi Ebi nailed a contested 3-pointer. Arenas and Jamison led all scorers with 20 points. 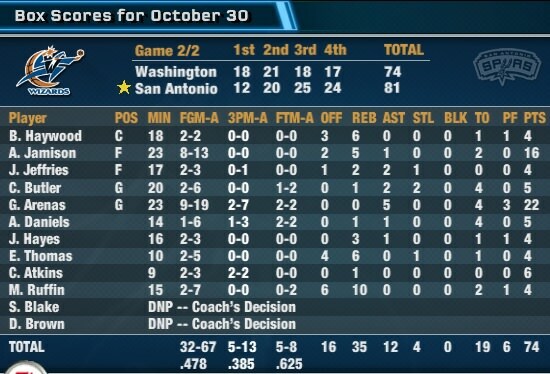 Arenas added 7 assists and 3 steals (the team combined for 12 steals), and Jamison added 8 rebounds. 5 Timberwolves scored in double-figures, and KG posted a double-double with 12 pts/11 rebs. 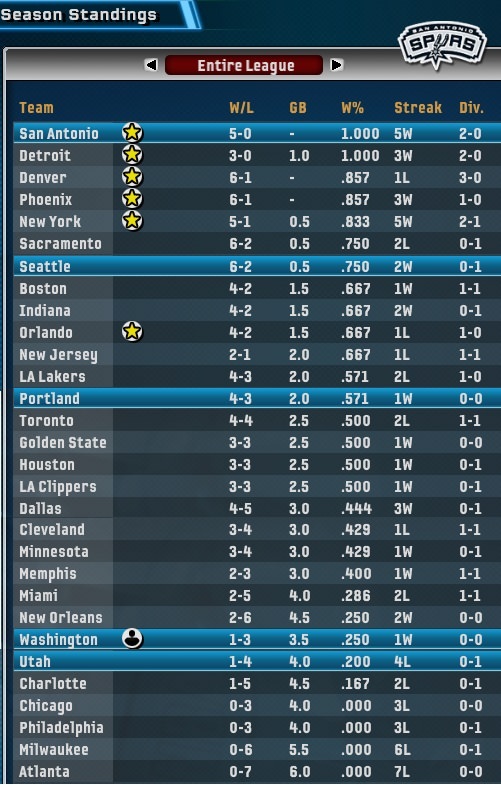 Note for anyone who read this thread earlier: I restarted the dynasty as I had forgotten to record box scores. Fun game. 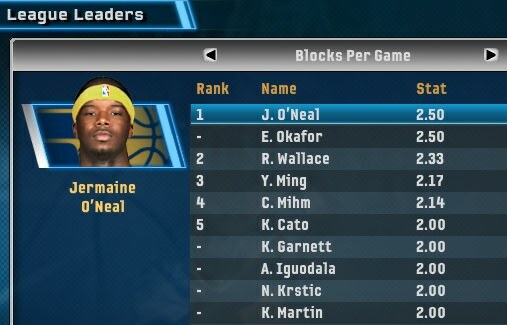 I hadn't even heard of N. Ebi, so his contested 3 was a gut-punch. That's basketball, though. 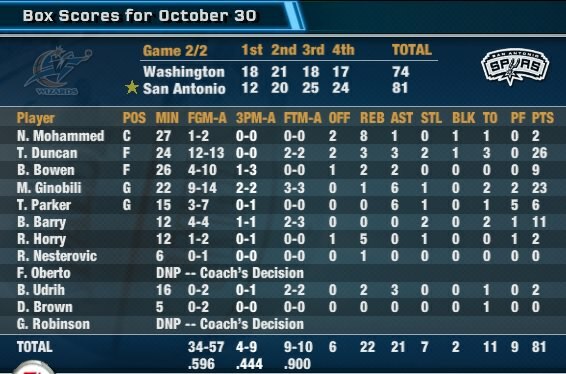 One thing I thought was amazing in this game was the CPU's switch to a 2-3 zone after I scored a ton of buckets in the paint. That's the first time I recall seeing the game react like that. I'm not sure if it was random or calculated, but I'll pretend it was the latter. 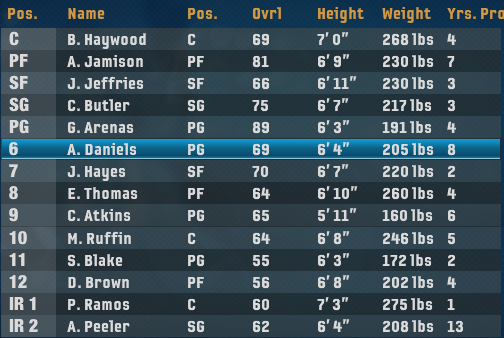 Also, I'm trying to figure out if my team is just terrible from 3 or if I just need more practice with sub-par/average shooters. 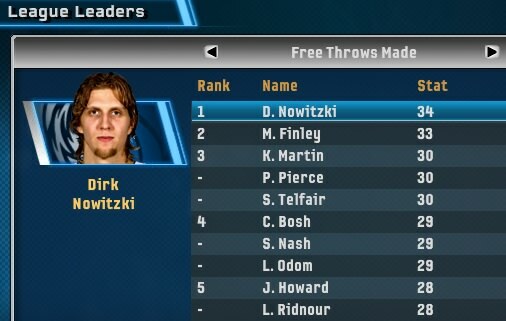 I had no problems with previous dynasties using the same sliders, but those teams had better shooters. As it stands, making a 3 feels like winning an NBA championship. Last edited by Breems on Sun Aug 19, 2018 12:23 am, edited 3 times in total. Tough break, seems their balanced attack was the difference maker. Out of the frying pan into the fire. A tough game @Minnesota was followed up by a trip to San Antonio the next day. 24 hours after facing superstar Kevin Garnett, the Wizards' frontcourt would have a second chance to prove its worth against The Big Fundamental. The Wizards again started strong with hard-nosed defense and an efficient offense (52% FG) predicated on high-quality shots (only 2 made FGs came from beyond 10-12' in the first half). Washington took a 39-32 lead into halftime despite Tim Duncan scoring 14 points on 7-7 shooting. Gregg Popovich seemingly took notes from the Minnesota game and switched to a 2-3 zone to start the second half. The Wizards' paint dominance finally came to a halt, and Duncan and Ginobli capitalized with an extremely efficient inside-out attack. The Spurs tied the game at 57 heading into the 4th quarter. The 4th quarter began with each team trading baskets before the Spurs eventually took a 4-point lead with 2 minutes left on a Ginobli layup. A disastrous illegal timeout by the Wizards stretched the Spurs' lead to 7, leading to an 81-74 win. 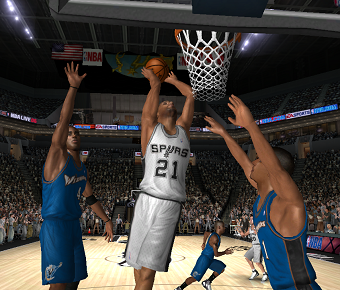 Tim Duncan led all scorers with 26 on 12-13 shooting. Ginobli wasn't far behind with 23 points and 6 rebounds. 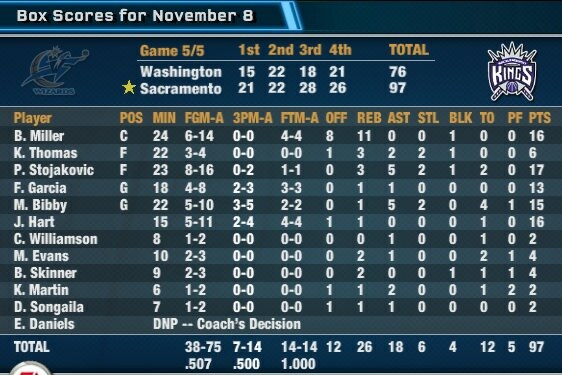 Arenas added 22 points and 5 assists for the Wizards, and Jamison managed 16 points in his matchup against Duncan. Interestingly, the Wizards dominated the boards 35-22. It was a tough loss, but I'm proud of our guys. They gave it their best effort, and that's all you can do against a 3-headed monster like Parker-Ginobli-Duncan. Everyone who played scored 4 or more points tonight, so we got closer to the balanced attack we want. It's on me to fully get us there and take some of the load off Arenas and Jamison. We're all anxious to get home and play in front of our fans for the first time this season! Man, I Chris Webbered that pretty hard. I was trying to call for an intentional foul but called it too soon after the made basket. I actually made some 3s this game (36%), so I'm happy about that. I also found a few new plays that work well for Arenas besides PnR and iso. 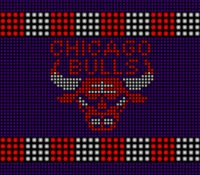 I'm going to start looking at some roster changes, namely adding a 3-point specialist and defensive big men. Last edited by Breems on Sun Aug 19, 2018 12:25 am, edited 2 times in total. Last edited by Breems on Sat Sep 01, 2018 6:21 am, edited 2 times in total. A few interesting notes: the Wizards only trailed 43-37 at the half before the game was blown open in the 3rd quarter; Stojakovic dominated offensively despite going 0-2 from 3; the Wizards' frustration showed with 3 offensive 3-second violations, 15 fouls, and an incredible 33 TOs. Washington continues to struggle from the field. The Kings move to an impressive 6-0 on the season while the Wizards fall to 0-3. Last edited by Breems on Sun Aug 19, 2018 12:26 am, edited 1 time in total. It's a rough start, but hopefully you can figure it out soon! Andrew wrote: It's a rough start, but hopefully you can figure it out soon! Indeed. I'm certainly hitting my goal of struggling! Can't wait for my first home game. Also, are you able to see the video in the post above? I only see a black screen. Yep, the embed is working properly. Not Chucky Atkins' finest moment! The Wizards had yet to win a game. Cleveland's 2 biggest stars, Larry Hughes and LeBron James, were suffering from injuries. The stage was set for the Wizards to notch their first win of the season, and they didn't disappoint their home crowd. Washington controlled the game from the tip. The offense was firing on all cylinders and, aside from Jamison's heroics, was well-balanced. Fast breaks were plentiful against a slow, uninspired Cavalier defense. The defensive pressure forced Cleveland to work for every shot. With Hughes out and James playing injured, the Cavs couldn't score or stop penetration. 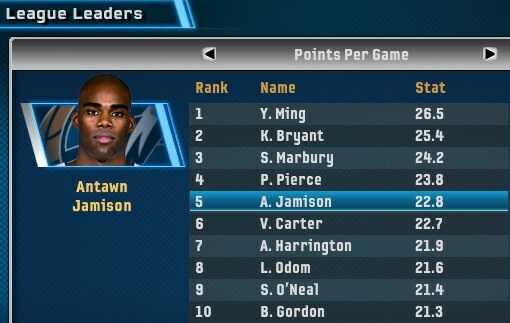 Antawn Jamison was virtually unstoppable in the paint. After scoring 22 in the first half on 9-9 shooting, he closed the game with 36 points on 16-19 (84%) shooting. Agent Zero posted a double-double with 10 points/assists and also added 4 steals. Caron Butler added 19 points, a welcome sight for Wizards fans who had been disappointed with his first 3 outings. This was a much-needed win for me as it gave me the freedom and confidence to use my role-players more. 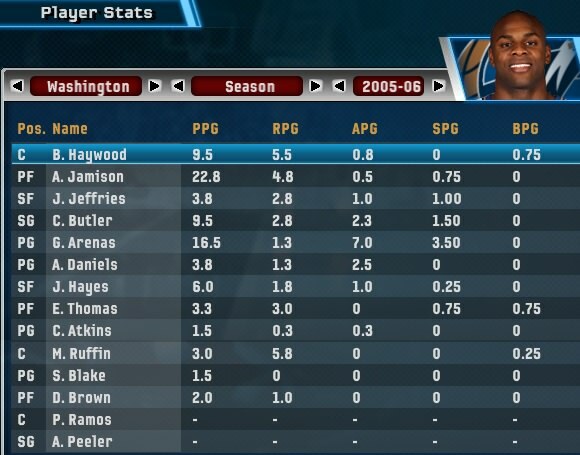 I also learned that Caron Butler can make a shot in this game! 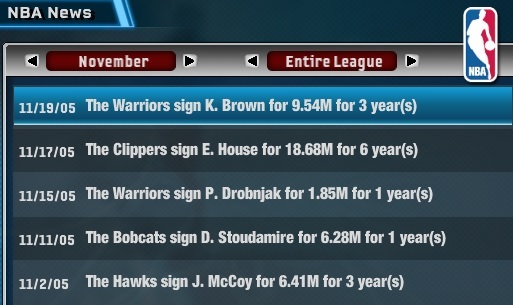 Caught a very lucky break with the 2 injuries, but I'll take it. Last edited by Breems on Sun Aug 19, 2018 12:27 am, edited 2 times in total. Nice, definitely must feel good to break the drought and get on the board with a win. 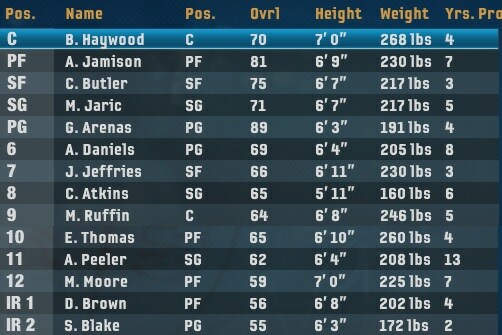 Incidentally, I've replied to your thread in the NBA Live 06 section with some information that will hopefully be helpful. Everything about this is awesome: the presentation is clean, I love this Wizards team (even more when they had Stevenson -- acquire him!) and as Andrew said, it has a very retro feel to it. Reminds me of the stories I used to look back on in 2009-10 when I was failing at them. Nothing wrong with having a losing record; that's really underrated in these stories - trust me: nothing is more boring than seeing someone clean house by 30 every game. And good to see Ira Newb outplaying the King. cavs4872 wrote: Everything about this is awesome: the presentation is clean, I love this Wizards team (even more when they had Stevenson -- acquire him!) and as Andrew said, it has a very retro feel to it. Reminds me of the stories I used to look back on in 2009-10 when I was failing at them. Thanks, I appreciate that! I'm having a blast with this. I'm actually glad I have a losing record. It can be frustrating during the games, but it keeps me interested and invested in improving my team. Let me know if there's any content/stats you guys are interested in that I'm not currently including. I want to maintain a good/unique presentation. Losses do make things more interesting, and it's nice to actually feel challenged by the game, too. 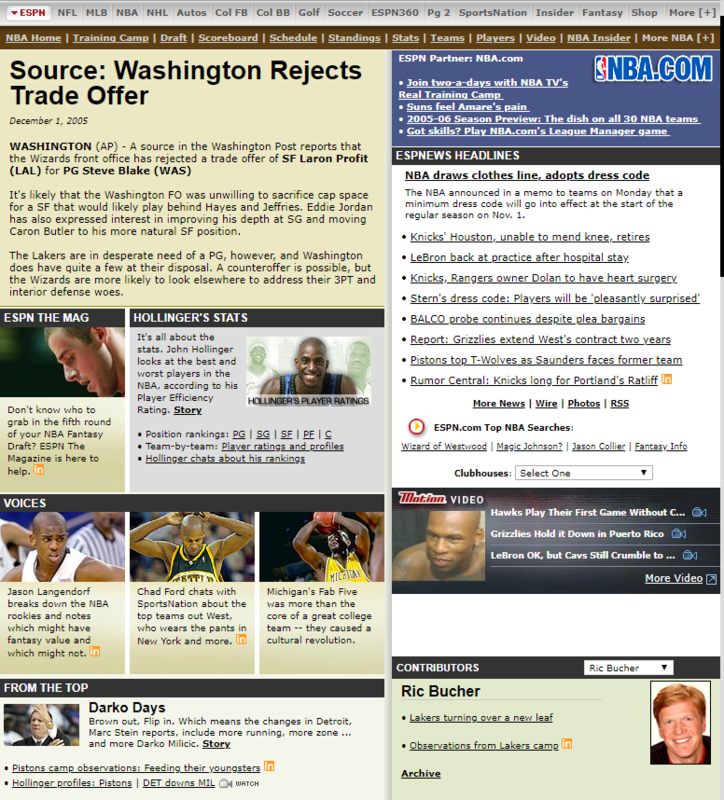 Love the throwback with the old ESPN.com layout! I'd say that's the right call in turning down that offer, too. Really nice; I'm stuck in a good time warp right now. Makes me motivated to do something similar. cavs4872 wrote: Really nice; I'm stuck in a good time warp right now. Makes me motivated to do something similar. You should! It'd be awesome to see a fresh story. Wizards' magic arrives just in time! Here's to you, first half. They won't remember you, but without you, that second half wouldn't have been possible. The Wizards entered the game riding high after a blowout win, and the Bucks were determined to grab their first win of the season in front of their home crowd. Both teams played loose which led to a fun, blow-for-blow offensive barrage. The Bucks took a 41-38 lead into the half. Either both teams made perfect halftime adjustments, or neither team made any adjustments as the third quarter was largely a repeat of the first half. 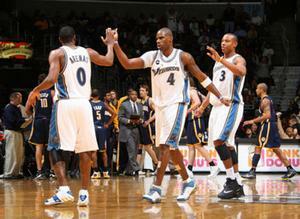 When either side thought about pulling away, Michael Redd and Gilbert Arenas quickly restored the balance. After 3 quarters of trading baskets, the Wizards opened the 4th quarter with 7 straight misses. It was now time for defense to steal the show. In the final minutes, Jarvis Hayes, Caron Butler, and Antawn Jamison came up with crucial steals leading to transition baskets. Jamison also kept the Wizards offense afloat with 3 putbacks. Meanwhile, Michael Redd managed to drain 3 straight 3-pointers, the last of which put the Bucks up 83-82 with 11.3 seconds remaining. Eddie Jordan called a timeout to draw up a play. The only question was whether he'd go with Gilbert Arenas (28 points) or the 4th quarter hot hand, Antawn Jamison (18 points). "Yeah, Coach Jones didn't exactly designate me as a primary option on the play, but my guys knew to get me the ball," Butler chuckled. "I was just glad to be in the right place at the right time and get the win for my team!" Butler finished with 6 points on 3-11 shooting. 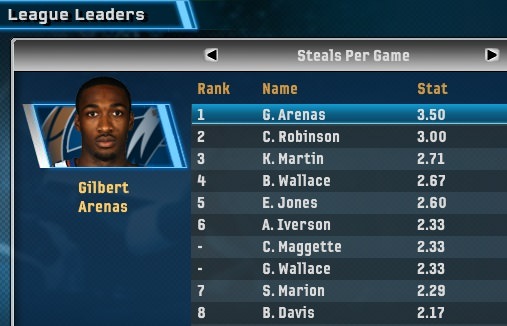 Arenas scored 28 points and added 5 assists and 2 steals. Jamison scored 18 points on 9-12 shooting and grabbed 6 boards. Jarvis Hayes scored a season-high 10 points. 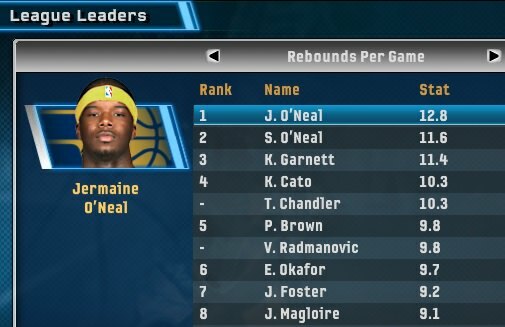 Michael Redd led the Bucks with 29 points. That was so much fun! I was planning to run a set for Arenas/Jamison, but once I inbounded the ball, I decided I didn't have enough time. I panicked and tried to drive with Arenas. When I couldn't get past the defender, I unintentionally passed it off to Haywood. I didn't want him taking the last shot, so I instinctively hit "L Trigger + Shoot" as I'm used to dishing to my SG in that situation. Running out of time, I took what I could get with Butler. Basketball, right?! Last edited by Breems on Sun Aug 19, 2018 12:34 am, edited 1 time in total.